Asheville, North Carolina is one of those places that has a lasting effect on a person. Just at the mention of it, a person who has encountered this city typically lights up. Most everyone who visits or even lives in Asheville wants to share this special place with those who have yet to experience it. So, what is it about this city in Western North Carolina that attracts almost 30,000 visitors daily and has a growing number of people moving to Asheville, NC? While there are infinite reasons to move to Asheville and join this eclectic and adventurous mix of folks nestled in the Blue Ridge Mountains, our Freestone team along with our clients have narrowed down the top three reasons we believe why the young and old from near and far move here. 1. Real Estate: What do Asheville Neighborhoods Offer? So, you want to live in a quaint cabin in the woods with a babbling brook as your permanent soundtrack? Done. Maybe you’re looking for the high-rise condo in the city center’s trendy downtown neighborhood. Check! Perhaps you have your heart set on building that dream home on the perfect parcel of land near a mountain ridge and overlooking the valley. You’re covered. Here’s the thing, you can live in and around Asheville with access to one (or all) of these real estate options. Within these areas are over 40 neighborhoods in Asheville proper. One of the most widely known neighborhoods is Downtown Asheville in the Central area with its renovated and newly designed lofts and apartments positioned among the Art Deco architecture, breweries, local eateries, and upscale shops. The city’s bohemian culture infiltrates the streets, parks, and rooftop restaurants, creating a contagious liveliness everywhere you go. 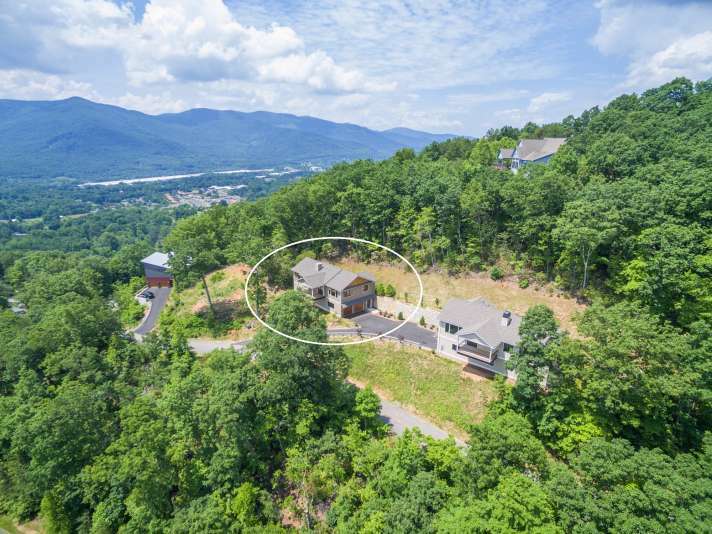 In North Asheville, you can find storybook homes in Lakeview Park with tree-lined streets, beautiful mountain views, and lakeside properties. There are also pockets of town such as Grove Park and Fitzgerald that feature carefully curated and maintained historic homes, as well as swanky condos and townhouses. The South and East parts of Asheville are made up of neighborhoods that range from upscale gated communities like Ramble Biltmore Forest, Southcliff, and Sovereign Oaks to all-inclusive neighborhoods such as Beverly Hills and Haw Creek. West Asheville is known for its trendy and hip Haywood Road urban area. This side of town is full of old bungalows and newer green-built homes within easy walking distance to dining and pubs. But just a little further out, the planned development of Biltmore Lake offers hiking trails, non-motorized boating and fishing amenities, tennis courts and playgrounds, and miles of sidewalks and greenways. Surrounding the above mentioned concentric circles of Asheville are the neighboring towns just a short drive away – Arden, Black Mountain, Fairview, Montreat, Swannanoa and Weaverville. They offer a full suite of small town mountain living and can be independent of what Asheville offers. Residents here enjoy newly developed subdivisions just off the main roads as well as homes with private drives set deep in heavily wooded lots. And each of these Asheville “suburbs” has their own personalities and traditions with just as much variety of real estate. 2. Mountains: What Are the Activities in Asheville? The mountains are an easy reason to move to Asheville – practically a no-brainer. 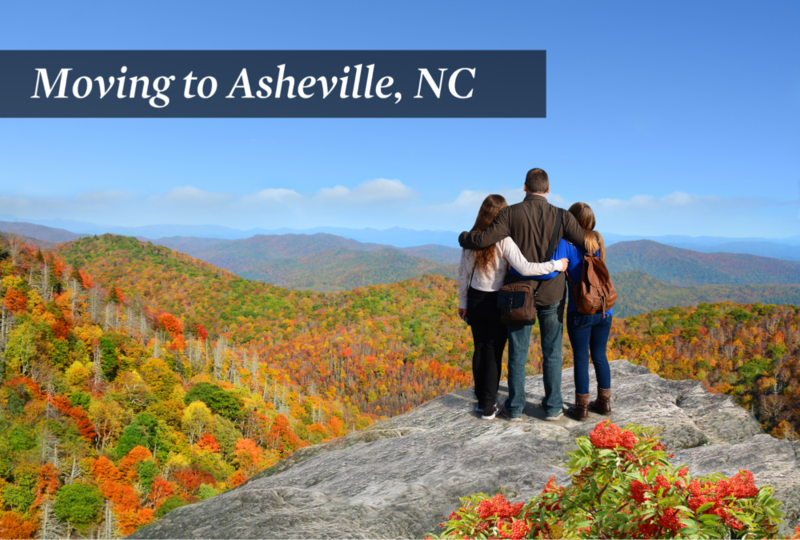 The moment you arrive in Asheville, your eyes are drawn upward, and you realize that you are surrounded by the Blue Ridge Mountains – lusciously green in the spring and summer and crisply vibrant with autumn colors in the fall. The atmosphere of hanging out at Wicked Weed Brewery in the bustling part of the downtown scene or perhaps meandering through the Biltmore’s latest exhibit and catching a wine tasting all while still being able to peer up at the mountains that are at a relatively close distance – that’s unique to Asheville. This place makes you feel as though you are always in the mountains…because you are. And if you like the mountains (or even the valley and riversides), what better place to be. But it’s not just simply having the mountains as a backdrop wherever you go. It’s also what they offer, what they inspire all types of explorers to do. From mountain biking and hiking to rock climbing and fly fishing, the adventures are welcome and easily accessible to those interested. Did we mention the trails are close by? The Blue Ridge Parkway is just outside of Asheville and is loaded with a variety of overlooks and hiking paths. One of our favorite spots is Craggy Pinnacle, a short hike to a 360-degree view of the Southern Appalachians. From this place, you can clearly see why they are called the Blue Ridge Mountains as they do, in fact, have a blue haze encapsulating them. Read more on this phenomenon here. 3. Lifestyle: What’s the Culture in Asheville? The Asheville lifestyle is something in and of itself. While you have all walks of life who flock to this area of the country, there is one word that best sums up the pace of life here – easygoing. A primary reason people live in Asheville is the lifestyle it offers. It’s a place that welcomes luxury living, family memories, artist co-ops, golfers’ paradise, outdoor enthusiasts and venture capitalists. The blended population promotes innovation with a culture that flourishes from locality, entrepreneurship, and originality. There’s a deep-rooted tradition of creating and growing from within to share and collaborate with the community – residents and tourists alike. The city and surrounding areas take pride in their local farmers markets and bluegrass festivals. The food and beer scenes are seemingly endless, and that also goes for the adventure that can be found in your backyard or miles of ridgetops away. With hospitality as the driving industry in Asheville, the quality level of service is incomparable. The abundant amount of competitive jobs in this sector draws many well-educated, overqualified individuals who choose Asheville because of its lifestyle and recreational appeal rather than the nose-to-the grindstone, fast-paced environment other cities tout. This means that enjoying everything that Asheville has to offer is typically a five-star experience with the best-of-the-best service. So, Should You Move to Asheville & Make it Your Home? If you’re thinking about moving to Asheville or the surrounding areas and exploring the right options for where to live, our Asheville Real Estate team can help. Many of our team members and clients are transplants from across the country and now call this place home. We also have staff members that are Asheville natives, an extremely helpful advantage in knowing the lay of the land. We understand the necessary steps needed to find the perfect property and meet your goals. Contact us today or search Asheville MLS Listings for sale. Contact Us to Find Your Asheville Dream Home! A resident of the Asheville area since 2003, Scott has been an active real estate broker since 2006. He has consistently been ranked in the top 2% of sales production in the Asheville market, and has produced over $80 million in career volume. He and his wife Lisa have also been active real estate investors since 2004. Scott and Lisa founded Freestone Properties in 2016. Scott is an avid fly fisherman, and the name "freestone properties" comes from the freestone mountain streams for which Western North Carolina is famous. When not listing real estate, selling real estate, or writing about real estate, Scott is trying to keep up with his two sons on their bikes, enjoying a day on the river, or trying to knock the rust off of his tennis game. "Scott was great from start to finish in helping us find and purchase our first home! He was very knowledgeable about the area, flexible with his time for... continued"